Wave goodbye to the traditional guest book and instead give your guests a unique way of recording your special day. 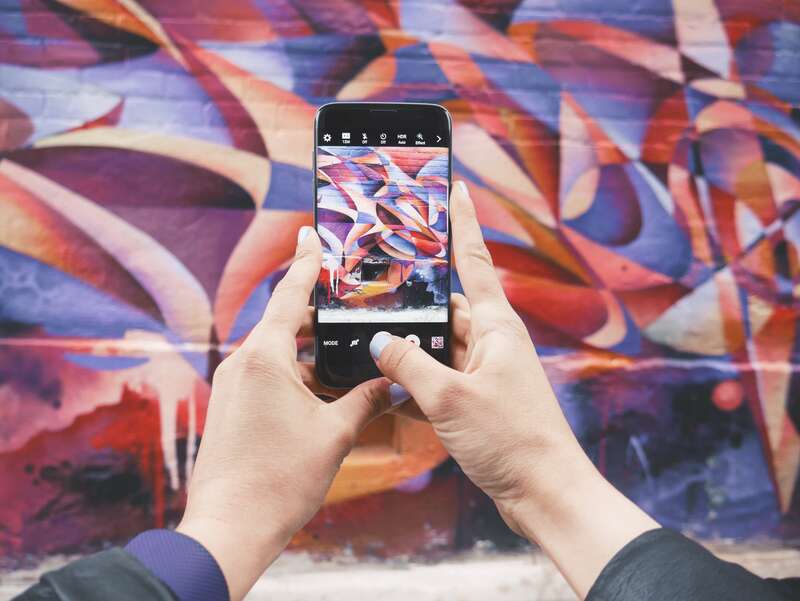 Digital Graffiti Wall Hire London has harnessed the street style and creativity of the 21st century and is bringing it to your next big event! Our innovative infrared technology allows the use of authentic spray cans to be used to create graffiti artwork without the nasty mess or dangerous fumes – just spray directly onto our massive wall for instant loud and proud masterpieces! Photographs, images and cartoons can be projected onto our large digital wall. Turn photos taken only a few minutes earlier at your event into dramatic backgrounds on the wall! Digital Graffiti Wall Hire has been an instant hit at big festivals, and are bound to make a bold statement at your big event too! Our expert Digital Graffiti Wall team will erect the white wall for you, and set the images, backgrounds and artwork, so all you and your guests have to do is unleash your inner-Beastie Boy and get to work with the 4 spray cans we provide you with. The easy to use technology allows you to play around with different colours, effects, stencils, stamps, and patterns! Your guests’ artwork, created on the wall, can be instantly printed or even uploaded directly onto social media. Spray cans and pens without the mess of real paint! Unique and Interactive fun for ALL ages! The Graffiti Wall measures 8 ft wide, 7 ft high and 5 ft deep. Make your occasion a memorable one. Contact us now for digital graffiti wall prices. How long can I book the Digital Graffiti Wall for? We can tailor a package to suit your event needs, just get in touch with your requirements! How long do you need to set up and take down the Digital Graffiti Wall? We normally allow 1 hour to set up/dismantle, though in some cases it can be done in less than an hour. 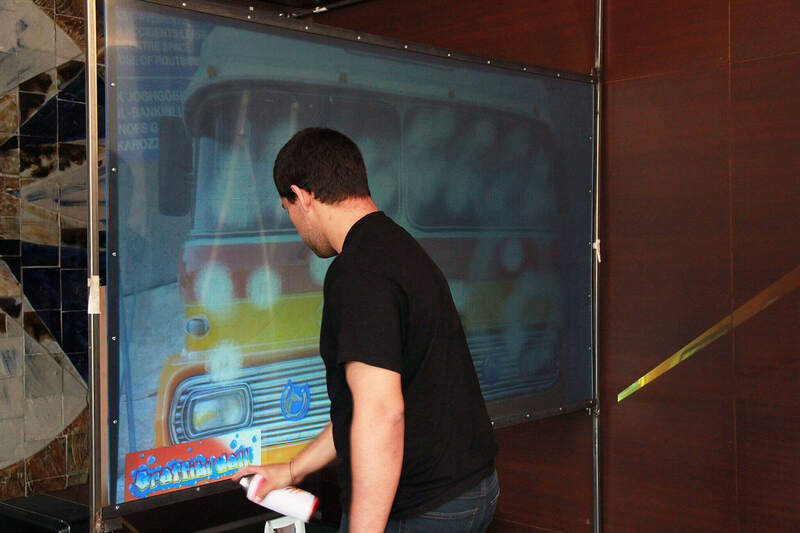 The hiring time begins from when you start using the Digital Graffiti Wall Hire. I need the Digital Wall setup one or two hours before the actual event and graffiti should start, is that ok? Of course, we are very flexible! However, we would need to charge for any idle time which is £50 per hour. How big is the Digital Graffiti Wall and how much space is needed? The Digital Graffiti Wall is 3.1m (L) x 1.22m (W) x 2.11m (H). We recommended a minimum of 1 metre around the Graffiti Wall. If you still have doubts, we’re more than happy for you to come and have a look before booking. We do indeed. We can also send you an invoice, just let us know. We require a 50% deposit to reserve your event date, and the final 50% paid in advance of the event or on the day in cash before the event begins.